You are looking at a very rare Tri-Carburetor Austin Healey that we have known and serviced for many years. 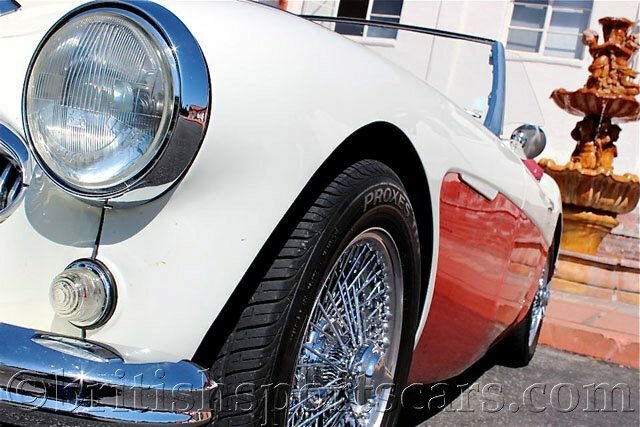 The car was completely restored several years ago to a very high standard. The body is amazing and shows no signs of accident damage or rust. The paint job is very nice and free of any scratches or chips. The interior is all new and looks excellent. The car also comes with a new soft top and tonneau. The car runs and drives great and was completely gone through during the restoration. It has always been very well cared for, and is a great car to show and drive. Please feel free to contact us with any questions you may have.